Following the 2019 Spring Seller Update, eBay has removed the option to use 30-day durations for Fixed Price listings. Many sellers rely on the 30 day cycle to bring more attention to their listings. SixBit users can take advantage of Custom Durations to emulate the old 30 day cycles. When a listing is submitted, users can choose to either list as Fixed Price Good til Cancelled, or select a duration of their choosing. The SixBit Agent will handle ending and relisting items based on the custom duration. 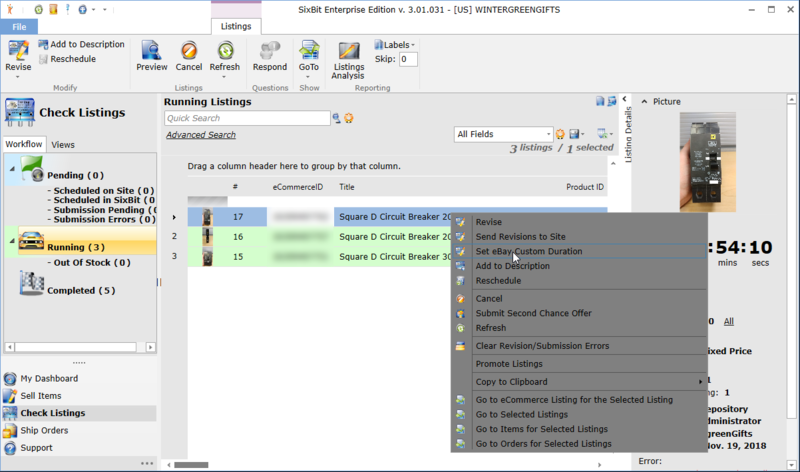 To use Custom Durations, simply select your items to list from the Sell Items mode and click Submit. Check the option for "Non-GTC Duration", then enter your duration and click Submit. 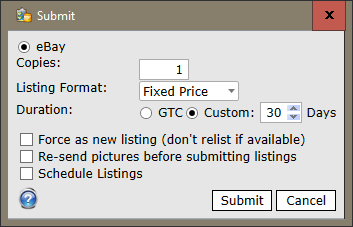 Users can also revise existing listings to use a Custom Duration without ending and resubmitting the listing. To do this, go to the Check Listings mode, select your listing, and click Revise > Set eBay Custom Duration. Then set the number of days for the custom duration and click OK. When used on an existing running listing, this operation would cause the listing to end and relist 30 days after the Start Date. 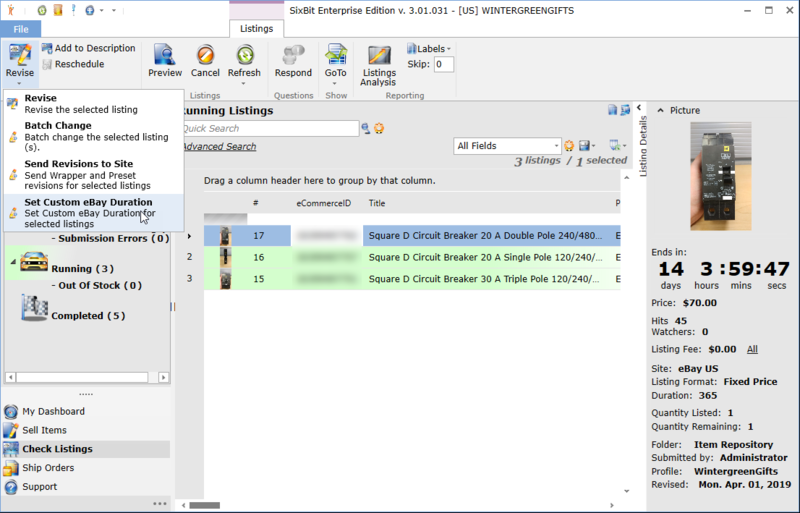 Users can also set the Custom Duration from the right-click menu. Select a listing and right-click Set eBay Custom Duration. Then enter the number of days and click OK.